Learn how to make and play the shadow puppet in this 3-hour workshop, guided by a puppeteer in Penang. Shadow puppetry is an ancient form of entertainment and storytelling. In Malaysia, this is known as "wayang kulit" and traditionally depicted mythical tales. 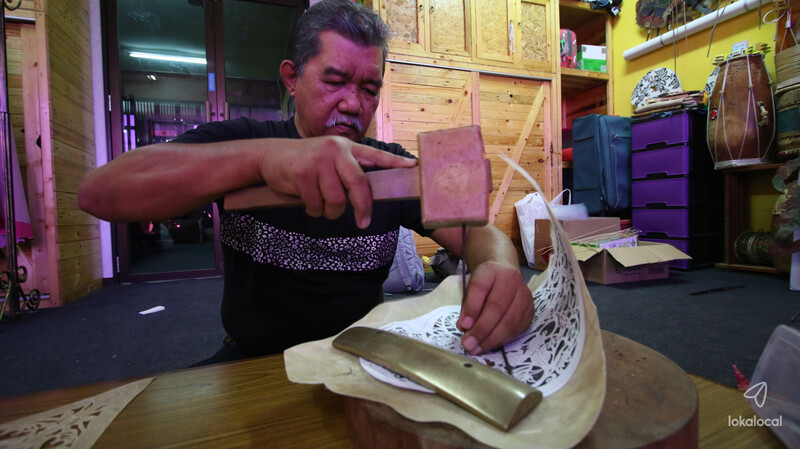 In this hands-on workshop, we will guide you through the process of making your own "wayang kulit" character, and reveal the age-old techniques to bring the shadow puppets to life. The puppeteer will brief you on how a shadow puppet character is made using goat skin. You get to choose your own character and bring it to life with tools and colors. This involves tracing, cutting, carving and coloring the characters. The puppeteer will teach you to play traditional musical instruments, which are an integral part of the shadow puppet theatre. In the class, he will also provide a tutorial and demonstrate the techniques to play the shadow puppets.